Rowe Sparkes Partnership was founded in 2000 and the firm continues to specialises in all aspects of criminal law; from fraud, murder, and sexual offences through to assaults and road traffic offences. We are experts in dealing with regulatory matters and provide advice and litigation as well as advocacy services in this field. We are passionate about our work, and pride ourselves on providing the best service to all our clients, whatever their legal problem. We endeavor to show our clients that the legal profession can offer an approachable and friendly face at what is often a stressful time. Today the firm is one of the largest criminal defence specialist firms in Hampshire. Our business success and growth is based not only on our expertise but also on our excellent client care and we hold Lexcel accreditation which is the Law Society’s Standard for excellence in practice management and client care. 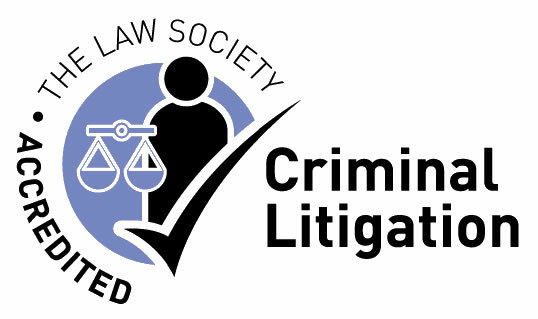 Our solicitors and lawyers are accredited with the Law Society’s Criminal Litigation Accreditation Scheme (CLAS) so demonstrating a high level of knowledge, skills, experience and practice in the area of criminal defence work, and allowing us to participate in local duty solicitor schemes. The Firm has 3 Directors and 16 employees, comprising of 2 solicitors with Higher Rights (allowing them to appear in all Courts up to and including the Supreme Court), 7 solicitors, 1 qualified lawyer advocate, 3 accredited police station representatives and 6 administrative staff. As well as our Head Office in Southsea we have offices in Southampton, Portchester, and Bournemouth. We have the resources and expertise to cover all aspects of a case from the smallest to the most complex, from the Magistrates Court through to the Supreme Court. All our services are supported by up to date, secure and high quality IT and telecoms systems to ensure that the latest case law and most up to date advice is available to our staff and clients, wherever they are and in a data secure environment. We provide a 24-hour emergency service for all those under arrest and will attend all local police stations within 45 mins, often much sooner. Rowe Sparkes Solicitors Limited (trading as the Rowe Sparkes Partnership – company number 8324835) is regulated and authorised by the Solicitors Regulation Authority (SRA ID 592146).